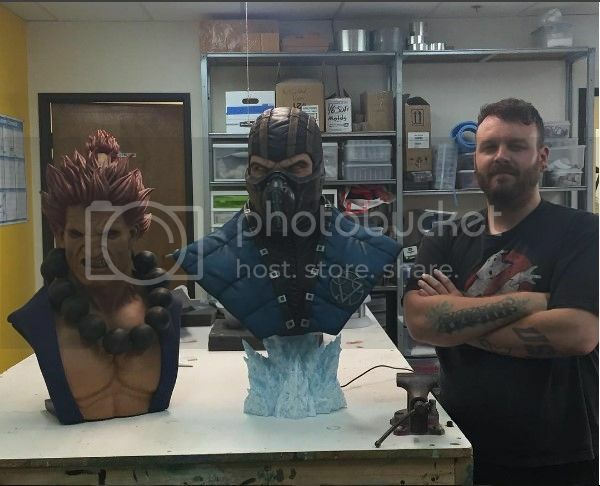 Plenty of updates to share from PCS Collectibles' Mortal Kombat Statue lines, post SDCC 2016.. 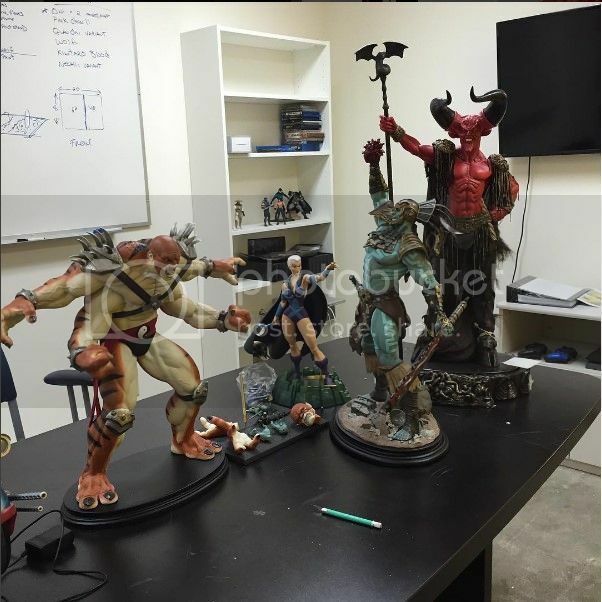 This was posted just after SDCC 2016 and check out that Kintaro and Kotal Kahn. Both are 1/4 scale and they look huge. All of these are factory samples. Here's a detailed look at Kotal Kahn..
Just look at that skin details. Pre-ordered both the War God and Blood God versions, will need to save up for a Sun God version quick. 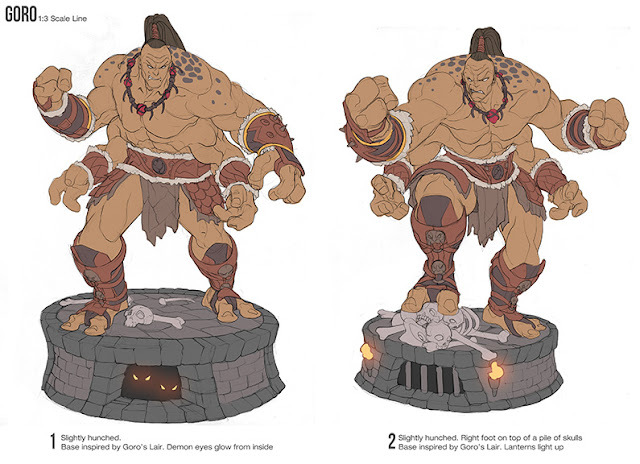 Work on 1/3 Goro has already started, which should be based on the Mortal Kombat X design..
Not 100% sure which concept they have chosen from the earlier poll but it could very well be changed. Another 1/3 in the works is Mileena! Again, there's a poll asking which outfit collectors would like to see and I have never seen a more divided poll. There are the old-school Klassic fans and then there's those who prefer the more detailed and modern outfits from Mortal Kombat X, but can't seem to decide on which one from the various outfits available. Unfortunately, Jerry has already said several times that Netherrealm Studios have told PCS Collectibles to focus on MKX for marketing purposes. So, let's see how this turns out..
From some comments mentioned, we could see more than 1 outfit for Mileena. Whatever it is, it's going to be some tough decision-making. Work has already started however.. so maybe they have decided already? Things are moving fast on the Sub-Zero Lifesize Bust as well.. Here's the fully sculpted bust.. But that's from quite a while ago.. Bust is fully painted already..
We might see full photos very soon in fact..
Jerry answered a few questions regarding the Busts.. 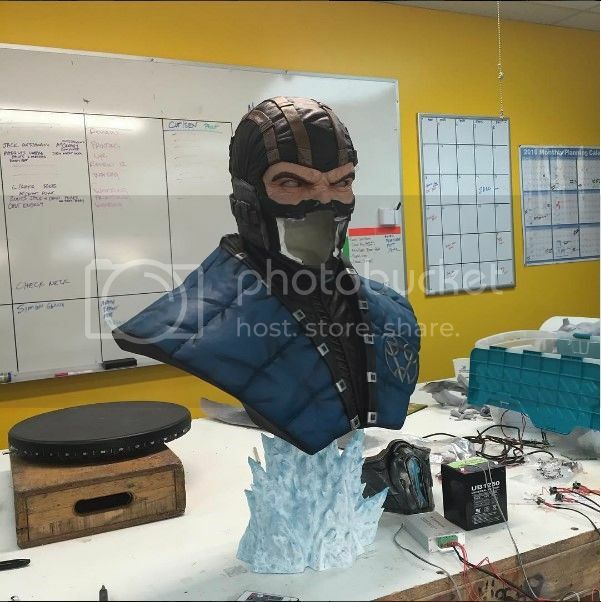 So, the Busts (inc Scorpion) will be close to 1000 USD each and regarding the 2 Pre-orders in September, we could get a double dose of Sub-Zero. I didn't get the MK9 Sub-Zero Bust but I have the Scorpion one. Somehow the MK9 Sub-Zero just didn't wow me as much. So. 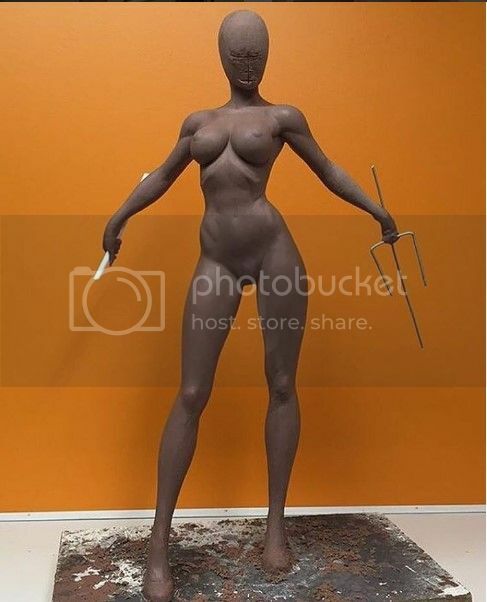 was planning to get just the MKX Scorpion Bust this time but looking at this, it looks really good. With some of the earlier pre-orders scheduled for release on September-October, got to start preparing for an expensive September!